For the second time this season, the Clemson Tigers held their opponent to fewer than 50 points in their final non-conference game of the year. 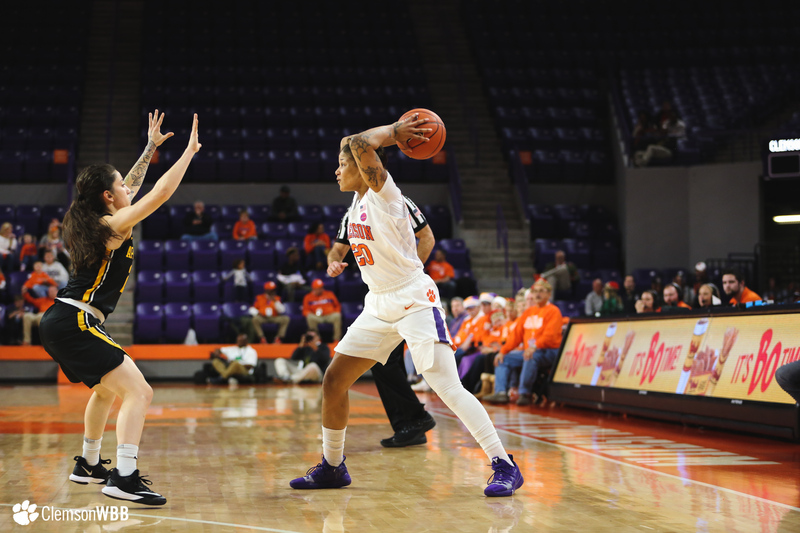 In what was a strong defensive performance, the Tigers emerged victorious, 87-48, over Appalachian State, Friday night at Littlejohn Coliseum. Clemson ultimately won the defensive battle by creating pressure in the backcourt, tallying a season-high 17 steals in the contest. Four different Tigers recorded multiple steals in the game, led by sophomore Destiny Thomas, who snagged career-high four steals. In addition to the 17 steals, Clemson forced an additional eight turnovers, totaling 25 points off turnovers in the game. The Tigers have now notched 25 forced turnovers in back-to-back games and rank second in the Atlantic Coast Conference, averaging 21.15 forced turnovers an outing. 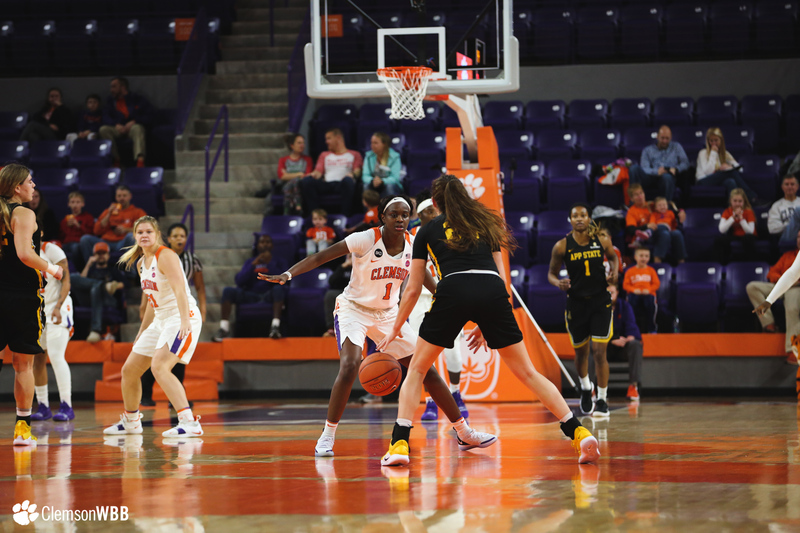 Contested shots were a key factor in the win as the Tigers held Appalachian State to just 19 made field goals, marking the second time this season that a Clemson opponent made less than 20 shots. Several of those contested shots resulted in blocks by the Tigers. Clemson finished the night with a season-high 10 blocks, the first outing with double-digit blocks since Jan. 11, 2018 against North Carolina. Sophomore Tylar Bennett paced the Tigers with four blocks on the night, while five other Tigers tallied a block in the game, as well. 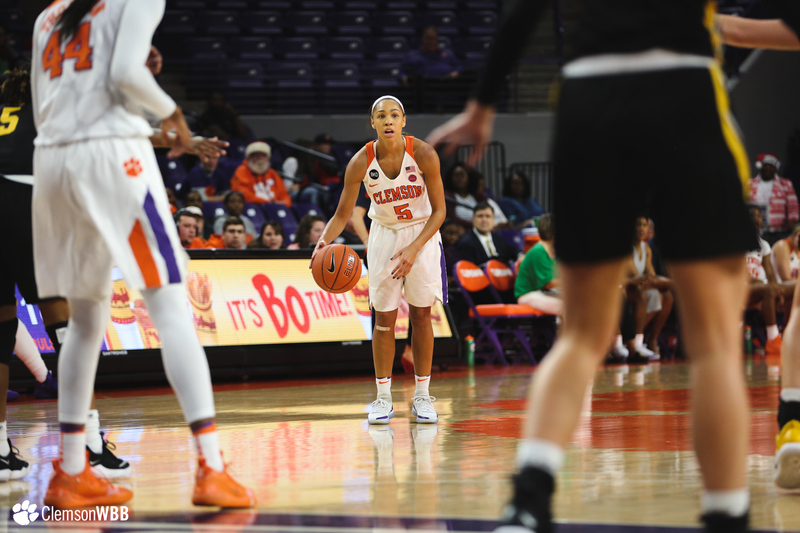 The Tigers look to continue their strong defensive play on Thursday, Jan. 3 when they host Syracuse for the first conference game of the season.